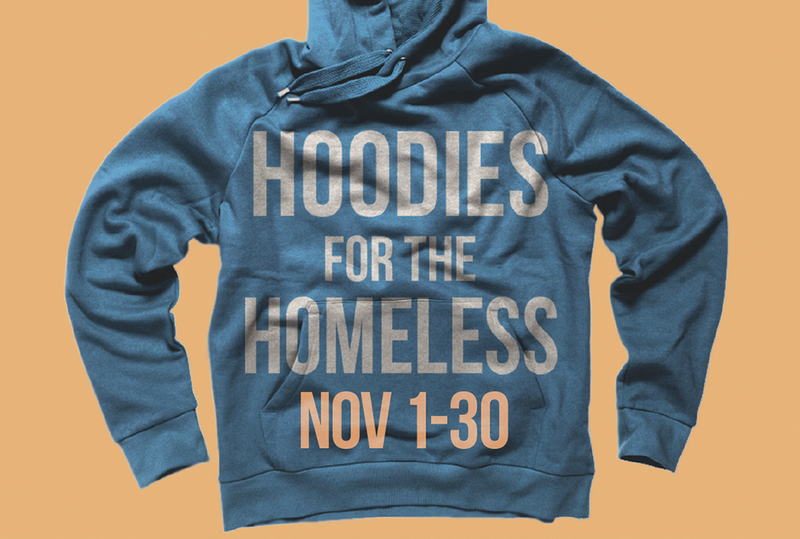 Kellogg Community College is accepting gently worn hooded or crewneck sweatshirts and coats at the Bruin Bookstore through the month of November as part of its 5th Annual Hoodies for the Homeless donation campaign for those in need. The bookstore, located on the first floor of the Lane-Thomas Building on KCC’s campus at 450 North Ave., Battle Creek, will accept the clothing donations through the end of the month during regular business hours, which are 8 a.m. to 5:30 p.m. Mondays through Thursdays and 8 a.m. to 4 p.m. Fridays. All sizes, colors and styles of hooded or crewneck sweatshirts and coats are welcome, and those who donate will receive 25 percent off the purchase of a new KCC hooded sweatshirt. Bruin Bookstore Manager Catherine James said the bookstore’s goal this season is to collect at least 100 sweatshirts and to attempt to beat their campaign record of 226 articles of clothing collected for distribution to those in need. For more information, contact the Bruin Bookstore at 269-965-4128. Visit the bookstore online at http://bookstore.kellogg.edu/store1/home.aspx.